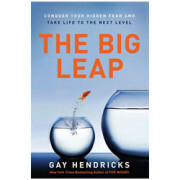 This is a great book on sales, it reads easily and gives you lots of ideas as well as answers.. Salespeople are looking for answers. Every salesperson on the planet, at some point during their sales day, needs an answer or 10 about what to do in a given selling situation. But there’s a big difference between AN answer and the BEST answer. Jeffrey has compiled 99.5 BEST ANSWERS to the barriers salespeople face every day. Where is the bank so I can deposit this money?! Salespeople need answers, fast! 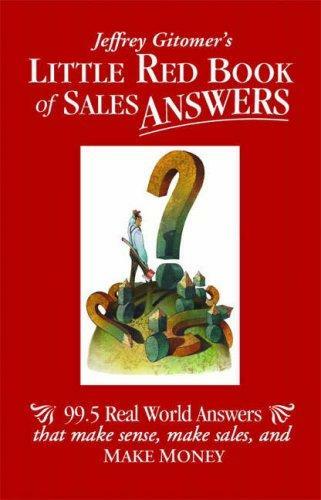 Now, one book brings together all the proven, tested, instant answers they’ll ever want: Little Red Book of Sales Answers. This is the legendary Jeffrey Gitomer, the world’s #1 sales presenter and author of the inspirational 250,000-copy bestseller Little Red Book of Selling. This new book goes beyond anything Gitomer’s ever done, offering 99.5 quick, fun-to-read, real-world answers guaranteed to make sense, and make money! setting goals, and adding value in every possible way. Buy this book: You’ll get two out of three.